—Get on track. Stay on track. At the webinars we will inspire you to make GrowthWheel work even better for you by going further into some of the topics that you worked with at the certification course. Usually, around 50 GrowthWheel Certified Advisors from all over the world are joining the webinar, so it is a good opportunity to ask questions and share best practices. Your stories. Share examples where GrowthWheel has worked well for you and your client. Your questions. Ask any question about the tools or a specific client situation. Your suggestions. Having used the toolbox you might have ideas and requests for improvements. The OnTrack Webinars are hosted by Elizabeth Binning, GrowthWheel Product and Learning Specialist. If you already got a story you would like to share, or a question you would like to address, feel free to let us know upfront at support@growthwheel.com. Below you can see all upcoming OnTrack Webinars. Choose a date and register for the webinar. Or, if you can’t make it, sign up anyway and get the recording. 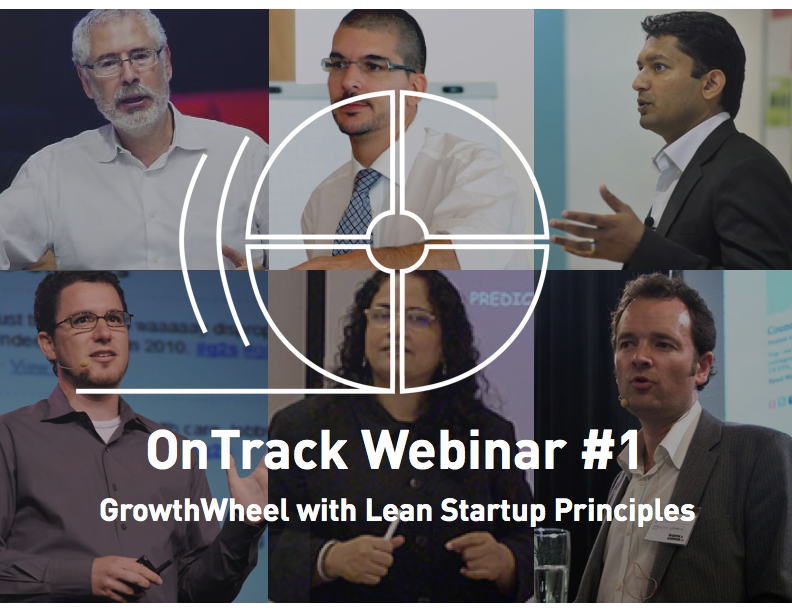 This webinar will focus on how we can use GrowthWheel for companies of different sizes and different life-stages. This webinar will focus on the many layers of the screening with GrowthWheel and how this can help us to focus on the issues that really matter to our clients. This webinar will focus on how we can apply principles of coaching to our one-to-one sessions with client companies and how you can pick the advisor style that works for you. How to use coaching principles to empower clients to make decisions and take action. How to pick the right advisory style for different clients and situations. How to avoid taking responsibility for decisions and give clients ownership of them. This webinar will focus on how we can use GrowthWheel in our daily workflow as business advisors. 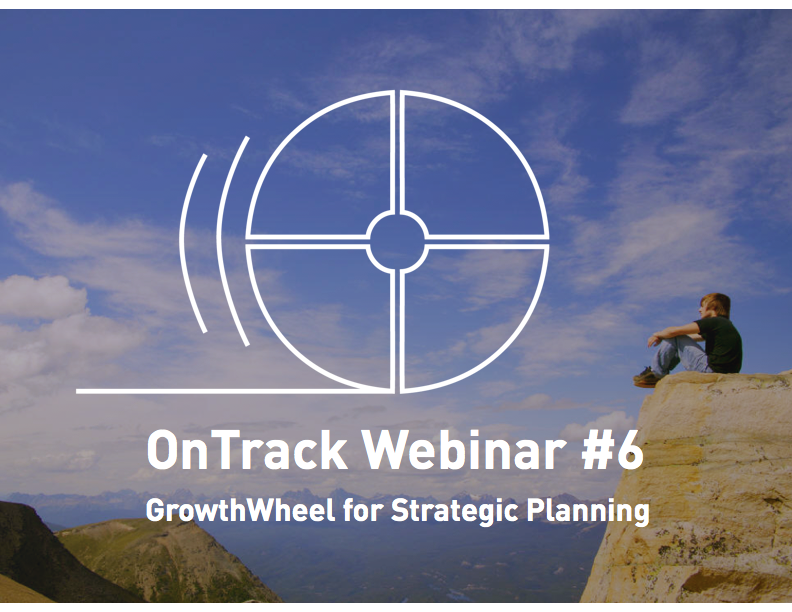 This webinar will focus on how we can use GrowthWheel for short-term/long-term operational and strategic planning. 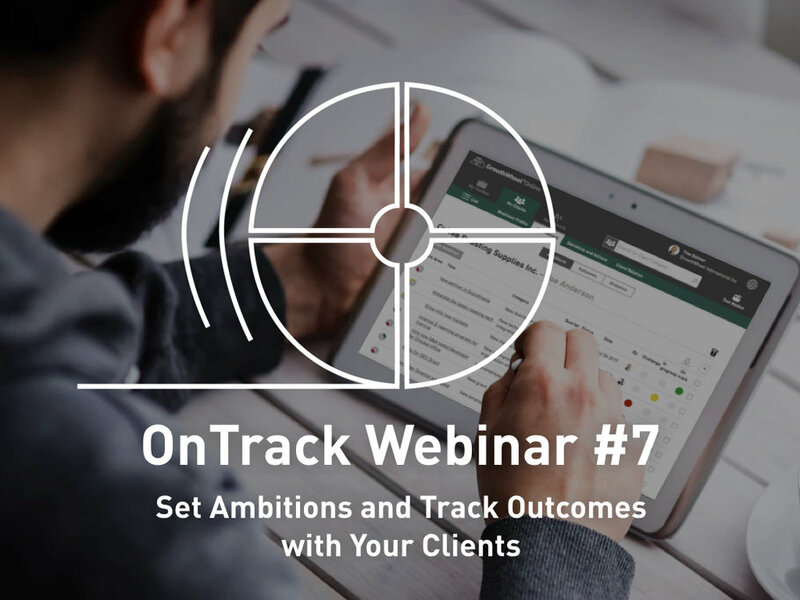 This webinar will focus on how you and your client can set ambitions and how monitoring and evaluating the outcomes keep your clients accountable. This webinar will show how to use techniques of “Change Management” together with GrowthWheel to help companies to better carry out the changes needed for growth. This webinar will focus on how we can use GrowthWheel with loan applications. This webinar will cover best practices when guiding your clients to choose which foreign markets to pursue, whether they are new to exporting or are a seasoned veteran. This webinar will show how you and your clients can create a Business Profile online. There are lots of reasons why your client might need a Business Profile. Perhaps they are ready to seek funding or investments and need a pitch deck. Maybe they are trying to recruit that new, critical team member. Or maybe they want to keep all the information about their business in one, easy-to-access location. How to make a Business Profile with key information about products and services, key markets, customer segments, financials etc. This webinar will show how you can use GrowthWheel to plan, promote, and execute your own workshops. Many advisors and educators in our community are using the GrowthWheel tools in their training programs or in the classroom. Some use GrowthWheel in combination with other tools like the Business Model Canvas. Others dig into one particular focus area.